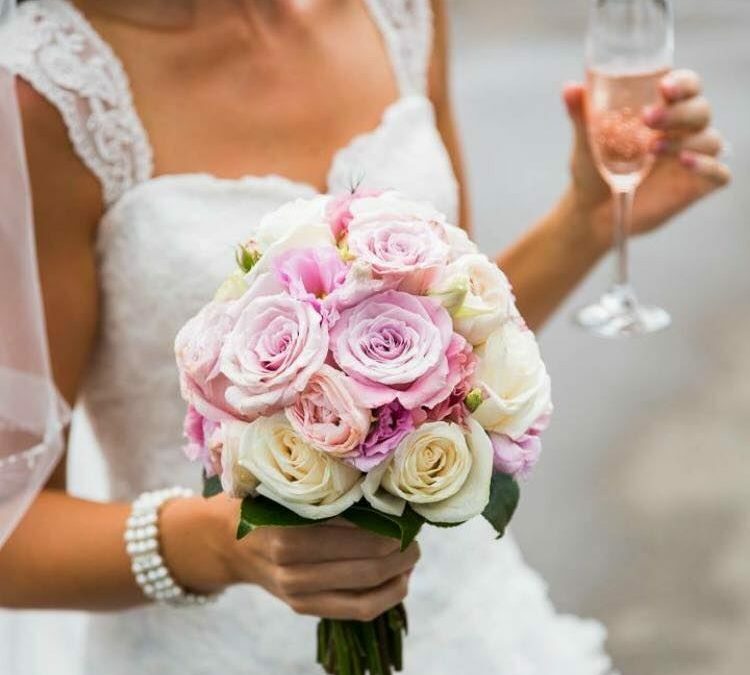 An exclusive but surprisingly complete wedding service for the Sydney area in Australia, Brides in Bloom provides everything a bride could possibly want from their wedding florist and much more. From breathtaking bouquets to delectable wedding cakes, Brides in Bloom Takes The Cake for Beautiful Sydney Weddings. Almost anything you want a flower for in your wedding, Brides in Bloom is ready to provide. As their name might suggest, Brides in Bloom offers an impressive selection of bouquet options, from the bridal bundle to posey clusters for the flower girl. A special favorite is the elegant teardrop bouquet to create the look of trailing flowers that just don’t stop. This bridal shop is ready to match any wedding colors, even if you don’t want to feature primarily white or even pastels in your bouquets! A quick glance through their photo gallery shows that every bride gets exactly what she wants in the colors that look best for her special day. Want to wear your flowers? No problem! Brides in Bloom offers all sorts of flower accessories for your wedding party and special guests. Buttonhole blooms and corsages are only the beginning. They are also delighted to provide flower circlets, alice bands, and threaded hair blooms. Even if you want your veil to be crowned in a bouquet all its own, Bridal Blooms will create a unique floral hair comb sure to look stunning and hold your wedding headdress firmly in place throughout the ceremony. Every table can have a bouquet that matches the bridesmaids and complements your own one-of-a-kind bridal bouquet. In fact, Brides in Bloom has done a number of beautiful specialty decoration pieces for more than just the guest tables. Have your catering tables, gift station, and bar decorated in lines and bunches of wedding flowers. Not sure what to do about the band? Instead of biting your nails flipping through Yelp reviews, get the scoop on the best wedding band in Sydney. Lily Road and Brides in Bloom share the Sydney wedding scene, and this professional Sydney wedding band knows what to do when you’ve enthusiastically had the reception stage covered in flowers as well. Many brides love the romance of getting married under a beautiful outdoor wedding arbour. These flower-covered arches are dripping with fragrant blossoms and Brides in Bloom offers them at notoriously affordable prices. With these fantastic florists on the job, there’s no need to skip anything. Have one wedding arbour, have two and string ribbons between them! Three or more arbours can create a flower-covered path for the bride or guests to approach an outdoor ceremony site. Unsatisfied with simply providing an endless supply of flowers to their valued bridal clients, Brides in Bloom has also incorporated a professional wedding cake bakery into their services! With only glowing reviews as far as the eye can see, there is every reason to believe that every single bride has found their cake to be not only beautiful, but delicious as well. Not sure you want the traditional several-layer wedding cake? No Problem! Brides in Bloom offers a fantastic selection of “little cakes” made up of smaller central cakes and artful displays of flower-adorned cupcakes. Whether your wedding is a the traditional dream in fluffy white satin or a trendy outdoor garden ceremony, you deserve the highest quality wedding services available. Brides in Bloom has both your flowers and your cake covered, but while you’re organizing the bridesmaids and calling the caterers, don’t forget to book the wedding entertainment! The Lily Road Wedding Band knows the right songs for weddings and dance music to turn your unforgettable wedding into an all-night-romp for friends and family, giving the newlyweds a chance to kick off their shoes and start living it up in married bliss.